The peacock network has given a thumbs up to Whitney, their freshman sitcom. It’ll be back for a second season for 2012-13. There’s no word on how many episodes have been ordered but NBC is said to be handing out only 13 episode renewals to their existing comedies so that they can use the extra cash to pick up new shows. If they perform well enough then execs could certainly order more. 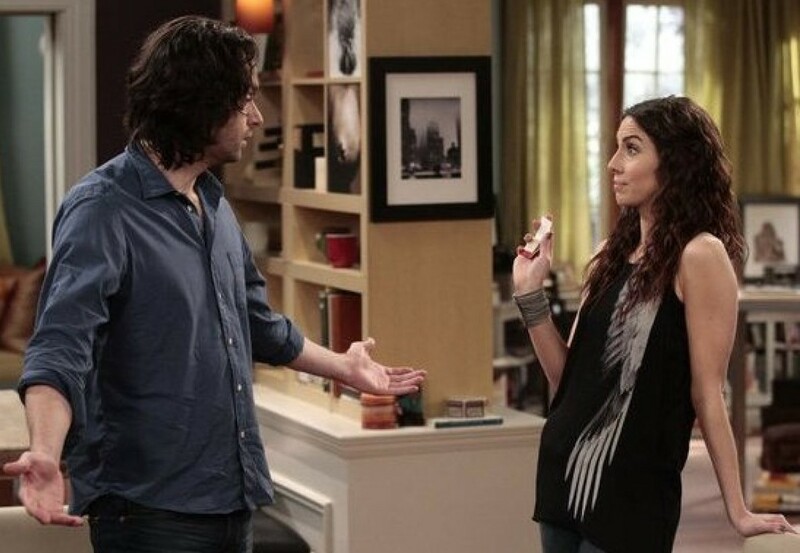 Starring Whitney Cummings and Chris D’Elia, Whitney started out the season as a hit, registering a 3.3 rating in the 18-49 demographic with 6.84 million viewers. The sitcom lost some steam in its early weeks but, because of the state of the rest of the network’s schedule, Whitney was their top-rated show for several weeks. NBC gave it a full season order in early October. In early 2012, NBC moved Whitney to Wednesday nights, presumably hoping to establish another night of sitcoms. Whitney didn’t exactly flourish but, considering the competition on the other networks, it didn’t do too badly. On our NBC Ratings Report Card, which measures shows’ relative demo ratings, Whitney’s first season has an “A-” grade. It’s the fifth highest-rated scripted show on the network this season, just below Law & Order SVU. NBC will officially announce their 2012-13 schedule on Monday so we’ll know if Whitney will be returning in the fall or if the sitcom will be held until mid-season. If the latter, it’s less likely that NBC would order a full season. What do you think? Did Whitney deserve a second season? Do you hope that it comes back in the fall or is held until mid-season? More about: Whitney, Whitney: canceled or renewed? This is honestly the only TV sitcom I watched last year! I adore it! Please keep it going!!! I think it’s a total travesty that NBC replaced Outsourced with this idiotic show and that it is getting a second season. I loved Awake. NBC seems unwilling to support a show that asks its viewers to think. Witty show, great dialog & characters! Very glad it’s coming back. Other than Glee, this seems to be the one show that has people who either like it or hate it. I enjoy much of the comedy of the show, but the plots often remind me that the writers are funny but not intelligent. Great dialogue, with a playful cast. It started out strong, and I think lost a little steam with the attempt to bring one of the characters out of the closet, and then too many internal love triangles. . . but overall, it was funny, and we looked forward to seeing it each week. Hopefully this gets renewed for a full season, and the laughs keep rolling in. SO GLAD Whitney is renewed for a second season! This show always made my week! I hope it premieres in the fall, not midseason. The sooner the better! NBC either doesn’t have promising shows in development or it really isn’t concerned about being competitive. This show didn’t deserve a second season. It was awful. I don’t care to be honest as long as Community got renewed. But hey why not, it’s not like NBC has a lot else going for it.